Water heaters are one of the most frequently used devices in almost every household these days. Especially, when it is winter, you will always want to take bath in moderately warm water so that cold and cough cannot touch your health, Basically, geysers are the big version of water heaters enabling a large quantity of water to be lukewarm. Thats why modern bathrooms generally house a high end geyser on the wall. 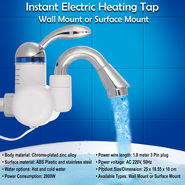 There are many types of water heaters available in the market. Some are powered by electricity whereas some gets the source of energy right from sunrays. Even gas driven heaters are also there. So, you just have to sum up your needs and preferences before bagging one of them. The biggest advantage of electric heaters is that they are extremely space-saving along with giving a fast paced performance on the whole. Today, most of the people prefer using energy-efficient immersion heaters because of their easy handling and portability. Most of the diseases like cold and cough, severe headache, painful body ache, etc. come from the chilled bathing water. This appliance is meant to say Goodbye to all these diseases along with make you get rid of the chilled water flow spouting from the tap, Ah! Now you can gleefully take a refreshing bath in the freezing winter days. Moreover, it is not even necessary to call a plumber or to be a plumber to learn the operational tactics of a water heater, Gas, electric, Oil, Propane, Geothermal and Solar- each one of the heater type comes up with an easy handling facility. You can always get the soothing sensation of lukewarm water whenever you want. 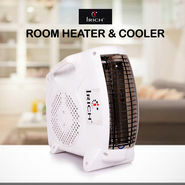 Those heaters with solar energy driven mechanism will make you happy for being eco-friendly along with saving much money. After all, you are doing the right things in a right way and taking the most beneficial outcomes from your activity, No pain, still a lot of gain!